Google Custom Search is the best way to let your readers search your blog. It is just like giving the readers the power of Google search just this time the scope is limited to your blog alone. It is one of the most handy tool for each and every blogger out there. Its easy to setup and starts working the moment you put it in your blog. In this tutorial we will see how to embed a Google Custom Search Box into your blog and some tips related to it. Now as we have seen how any other alternative is as good as Google Custom Search ,lets see how to implement it in your blog. Why is GCS Good ? With so many features you might be asking whether its really free ..... Yes its all free to grab. There is a Business version available too but as thats for businesses ! Finally How To put it in your Blog ! 6. 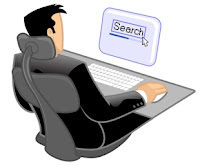 The Custom search has been setup for you and your blog is ready to be searched ! Hope you found the tutorial useful , feel free to ask any question or share your thoughts on it. How to show the results in the main page instead of the sidebar ? Awesome tutorial thanks for step by guide. To display search results in a separate page , Select the Two Page Layout from the Look and Feel option. You are in right time, well done, thanks a lot for the vital topic. Teach me please how I open the result in a new page just like you. I saw your old tutorial and its complicated and tricky. Now this is wonderful. I am creating my blogspot blog but yet finished. I've already installed it but it is taking too much time to load the page. So please help me with "open the result in new page and custom search box"
How to fix Height and width? So glad for your reply. I visited the above link but I got confused. I believe your two page setup video tutorial will resolve my problem. Please release the tutorial as soon as possible. Please take a look at my blog. The search results not showing correctly. Half of the fonts not showing in search results page only. How do I fix the issue? postingan yang bagus tentang"How to Integrate Google Custom Search into your Blog"
i can use page break module but since i have thousands of videos i cannot go to each post and create a page tag ... plus if page break is used its not showing thumbnails on home page ..... any idea .... i really love ur stylify theme over alll themes in the world and want to configure my vioe blogs accordingly ... any help ???? HELLO PRAYAG VERMA, PLEASE POST " HOW TO CREATE CSS MENU " STEP BY STEP, SAME AS WELL AS THIS POST. I AM USING CSS MENUMEKER BUT THIS SOFTWARE NOT CREATE PURE CSS MENU. PLEASE TELL ME ABOUT ANY PURE OR GOOD CSS MENU SOFTWARE. It was a great help as my old search button had stopped working.